• Cuffed up for summer, these two shirts from TwoThirds are perfect. Made in light organic cotton and linen blend, 10% of proceeds go to Oceana.org. "...the same inspectors at the nation's 616 plants that poured out 110 million pigs last year appear to look away at horrifying examples of abuse, including allowing swine stunned into a death sleep to revive, and, in one case, driving a skid loader into a hog for which the plant wasn't punished." I'd recommend sticking with the amazingly delicious Field Roast sausages, instead! • Our friends at Sparrow Media are spreading the word on a very important case regarding corporate-government surveillance and our democracy. 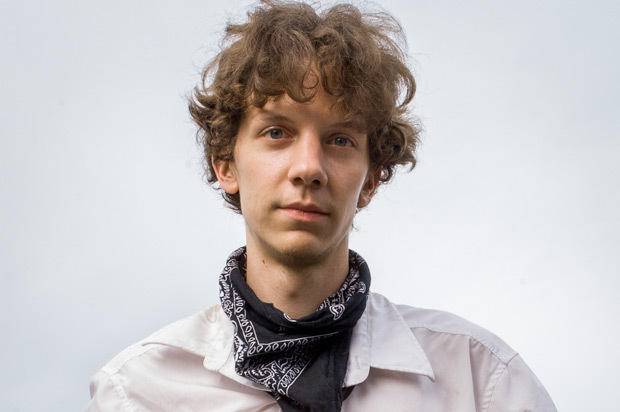 Internet activist Jeremy Hammond, who is circulating an online petition calling for his sentence to be "time served", pleaded guilty to publicizing internal emails from the private intelligence firm Stratfor through Wikileaks. You can read & sign the petition at Change.org HERE. In March 2012 Jeremy was arrested in his Chicago home and charged with violations of the Computer Fraud and Abuse Act, the same legislation used to prosecute Aaron Swartz. This outdated law, written before the Internet was even created, gives absurdly broad powers to corporations and prosecutors to criminalize an array of online activity and pursue extreme and disproportionate sentences. By contrast, Jeremy’s co-defendants in Ireland will not be prosecuted and in the U.K. none will spend more than 16 months in prison. Jeremy has been denied bail, cut off from his family, and held in solitary confinement– treatment normally reserved for the most egregious offenses. He did nothing for personal gain and everything in hopes of making the world a better place. He is facing a maximum sentence of ten years, but the minimum is zero. He has been jailed since March 2012 awaiting trial and now sentencing. It’s time for him to come home.